It’s not totally catered: I have made the dessert and rolls (which I finished with Thursday, unbelievable!). But to me, this is the fun part. I started last Saturday making the ice cream part of the dessert: vanilla, then chocolate, strawberry and finally fresh mint with peppermint patty chunks. I will share all the ice creams creations in another post, especially the fresh mint, adapted from The Perfect Scoop. I also made my Refrigerator Rolls Deluxe, twice. And for the cookies, I made Chocolate Brownies, Chocolate Chip Cookies and Sugar Cookies, which this post is about. I love chocolate: chocolate cookies, cake, ice cream, candy…….but there is nothing like a really good vanilla cookie with crunch and chewiness. 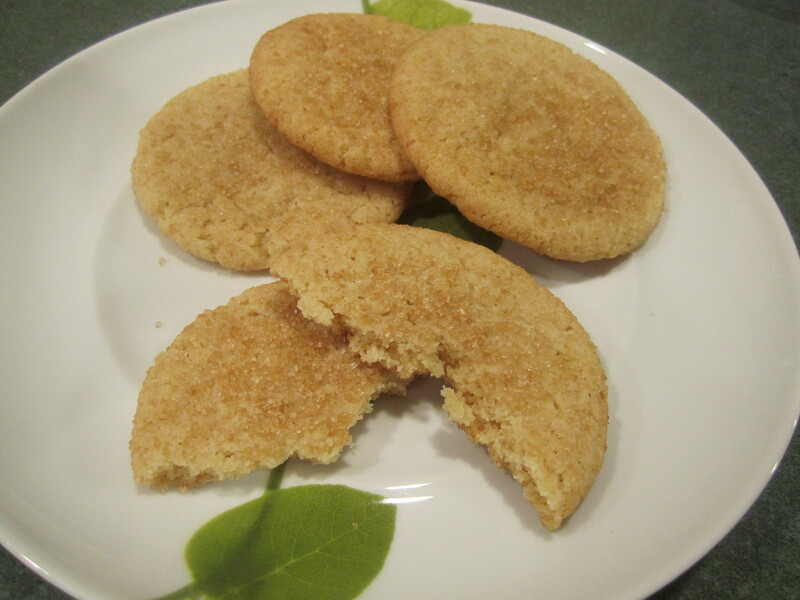 And this is what you will find with this cookie: crunchy sugar with a nice chewy inside. A wonderful addition to my dessert repertoire of ice cream and cookies. 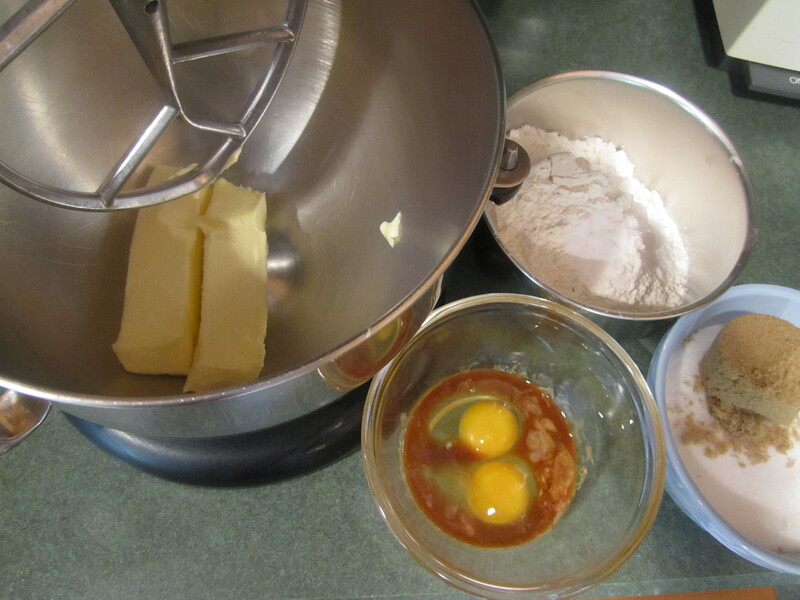 Put flour, baking soda and salt in medium bowl and mix together with a whisk. 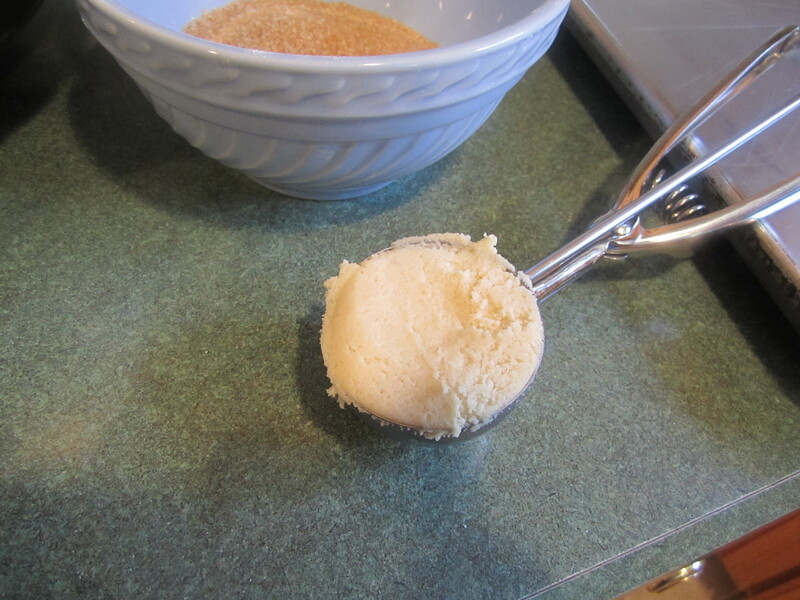 Place butter in a mixing bowl and add sugars, mixing thoroughly with a paddle attachment or beaters. Add eggs and vanilla and beat until fluffy. 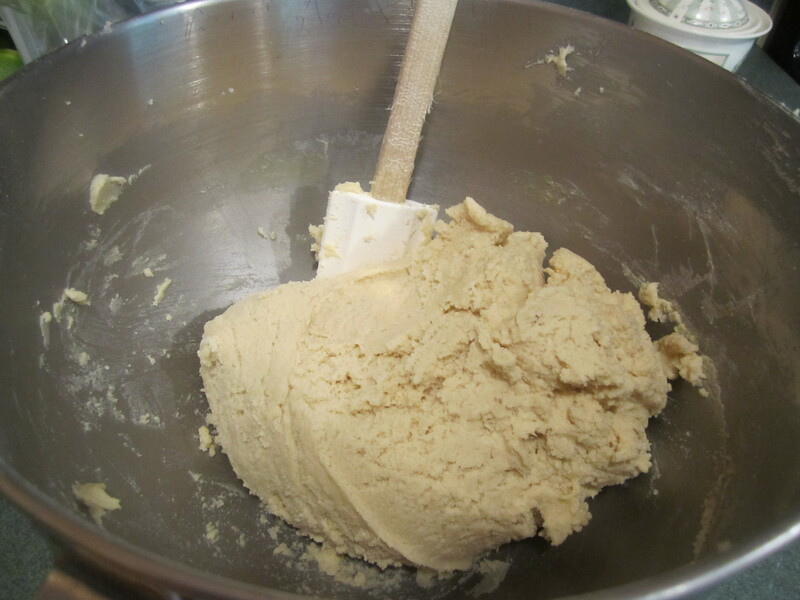 Gradually add flour mixture until combined. Scoop dough with an ice cream scoop. 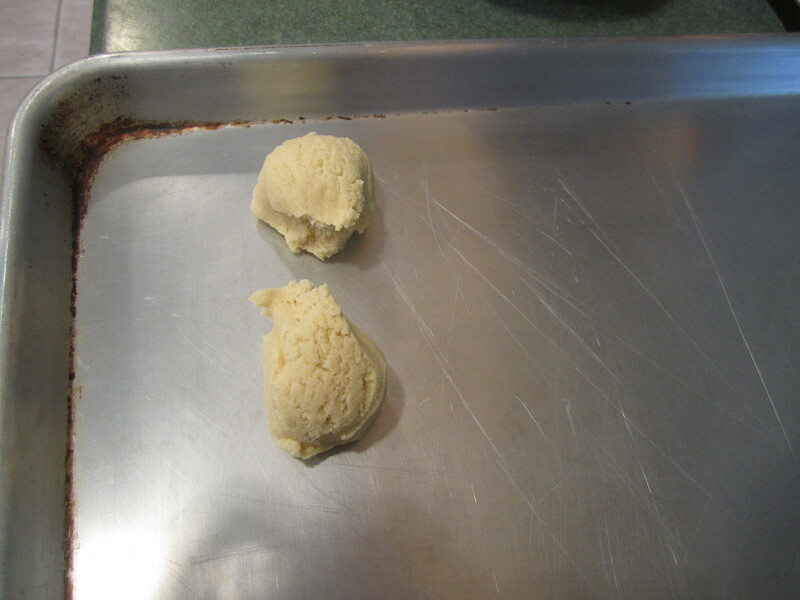 Pinch dough in half and roll each half into a ball. 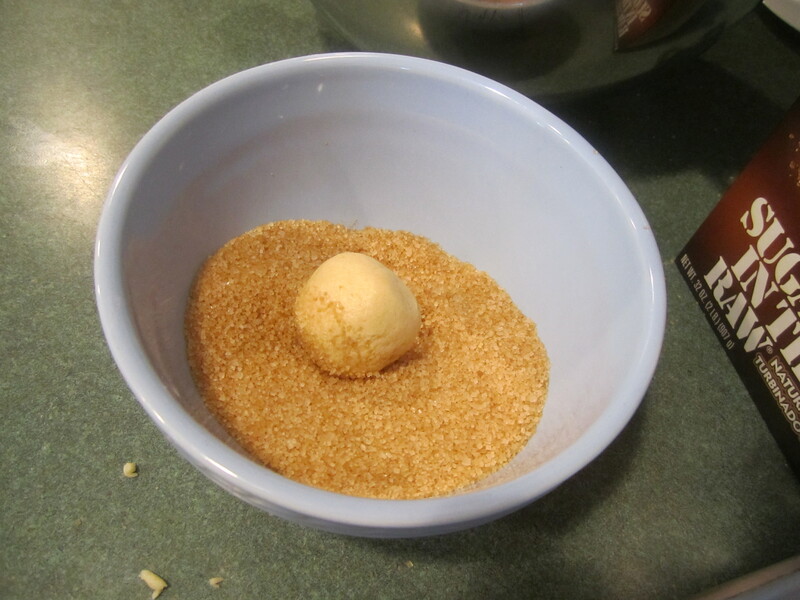 Place into a bowl filled with Sugar in the Raw and roll thoroughly around in sugar. 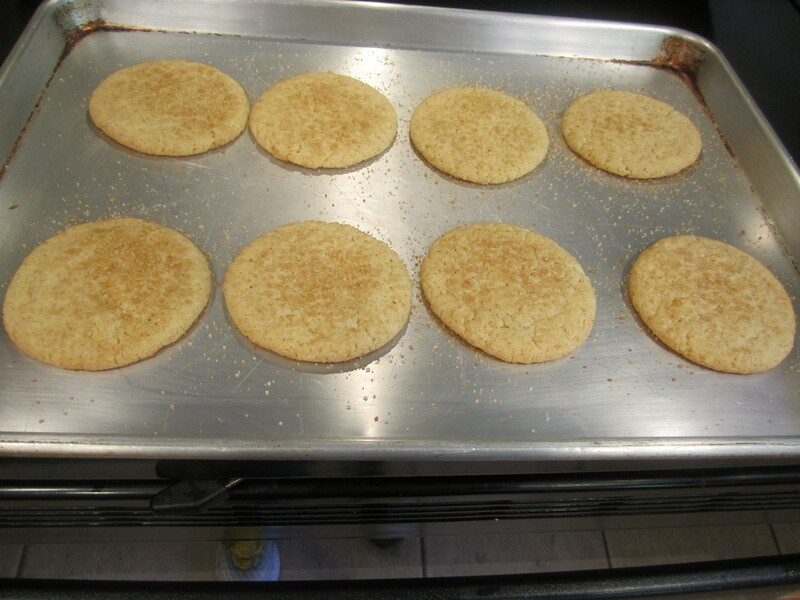 Place on a large rimmed ungreased cookie sheet. Keep dough balls at least 2 inches apart. I fit 8 on my pan. Slightly flatten dough ball with a metal spatula to ~ 1/-3/4 inch. 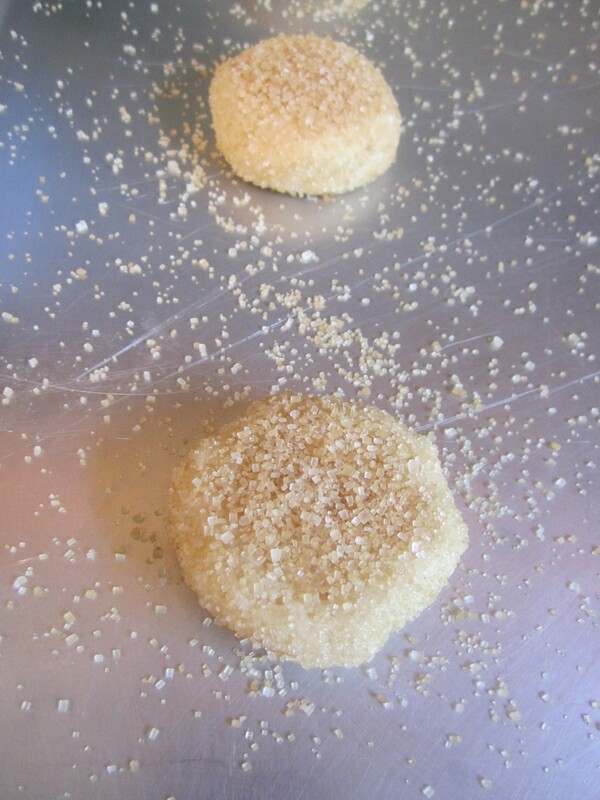 Sprinkle heavily with more Sugar in the Raw. Place in oven and bake for 5 minutes. Turn cookie pan and bake for another 5 minutes. 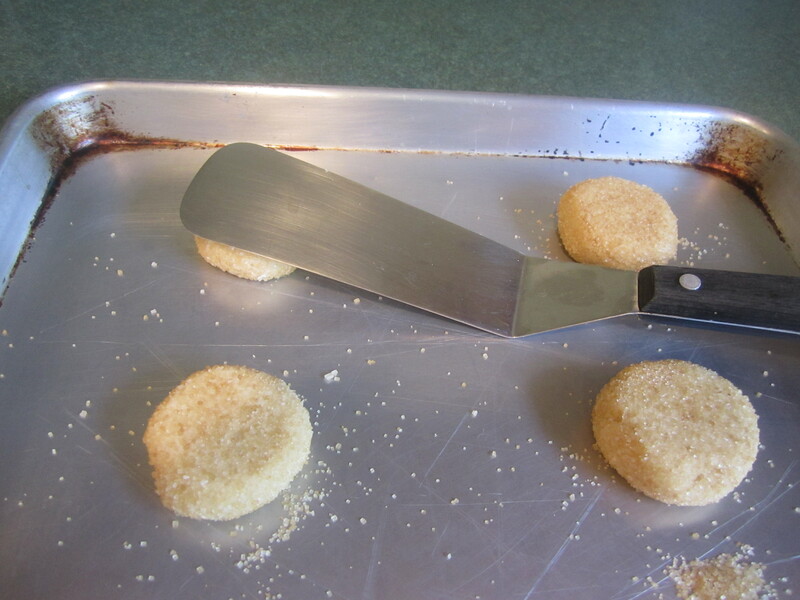 Let rest for 5 minutes on cookie sheet before removing onto a wax paper lined cookie rack. These were absolutely delicious! 🙂 Does the raw sugar make a big difference in taste? Mmmm, I don’t know about taste. Taste wise, raw and regular sugar may be the same. But the raw sugar is a bit larger in grain size than regular sugar and I think it helps to give the cookies a little more crunch! 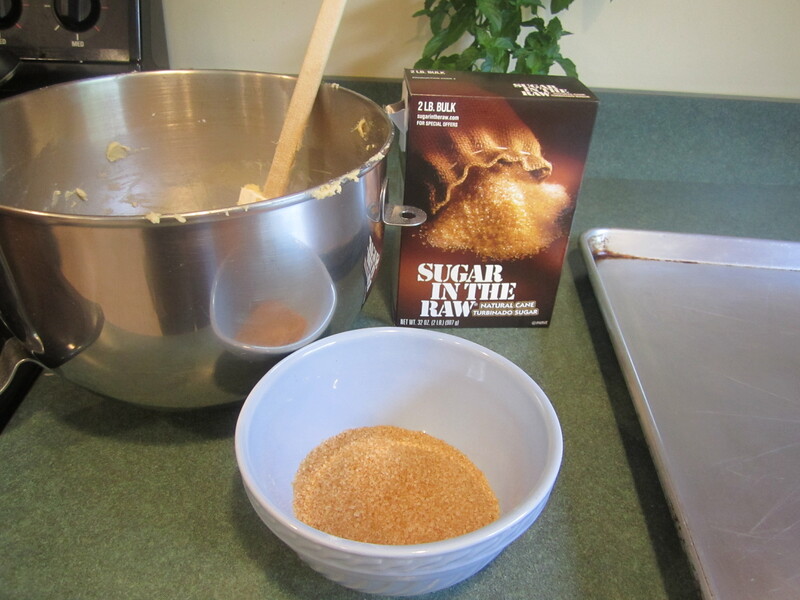 If you don’t have Sugar in the Raw, you can certainly substitute regular sugar.